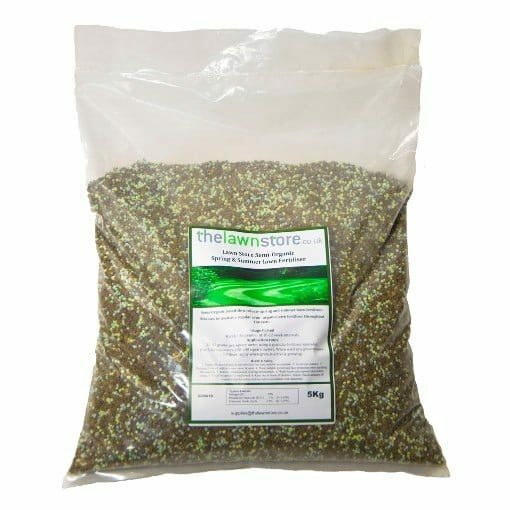 50% Organic pre-seed/pre-turf fertiliser from The Lawnstore. 5kg bag. 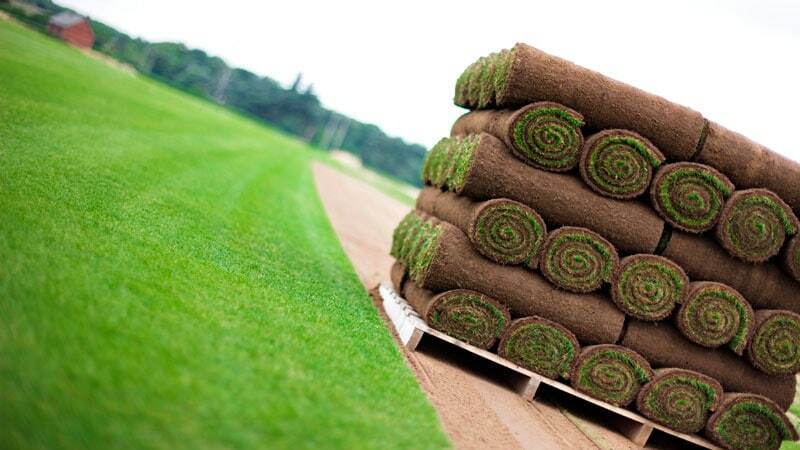 Covers 100-150 square meters. 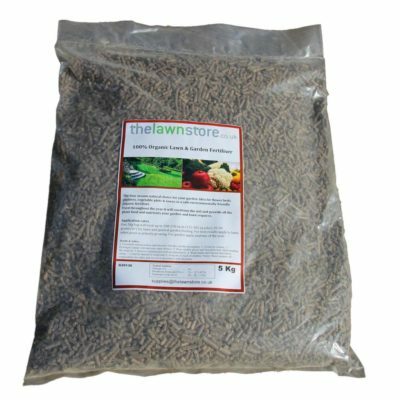 Contains a blend of fine chicken manure and slow release coated fertiliser. Apply at 25-35grams per metre at 10-12 week intervals March – August. 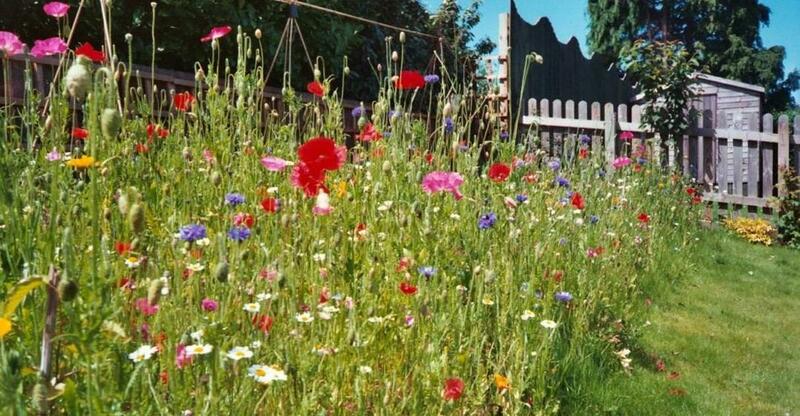 50% Organic 50% non-organic Lawn & Garden Fertiliser 19-1-2.5. Sold in 5kg bags. 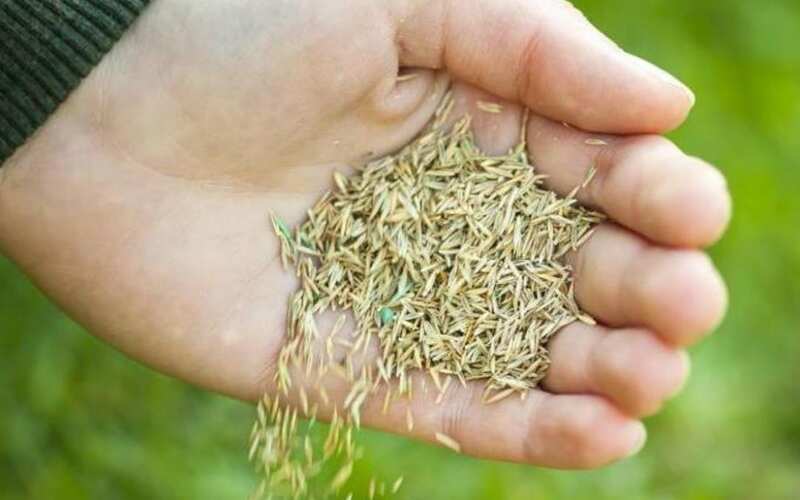 Slow release lawn fertiliser for your garden. 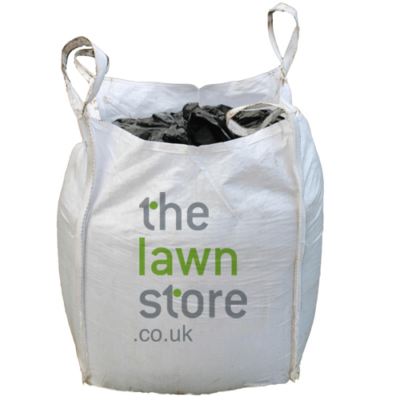 Feeds lawns as a safe environmentally friendly semi-organic fertiliser. 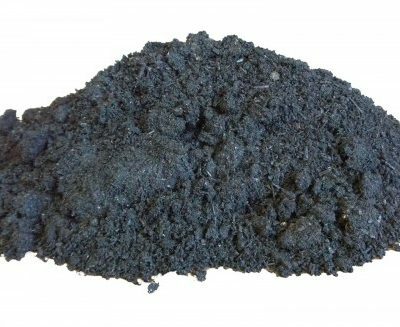 It will condition the soil and provide all the plant food and nutrients your lawn requires. 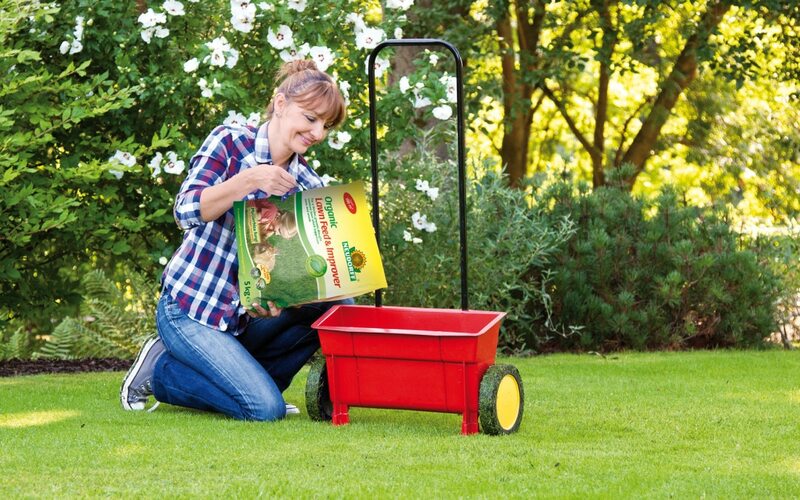 Apply with a granular spreader (see our handy green spreader). 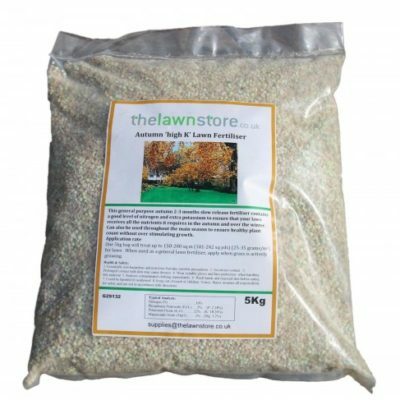 One 5kg bag will treat up to 150-200 square metres for lawns (25-35 grams/m2). For best results apply when lawn grass is actively growing.